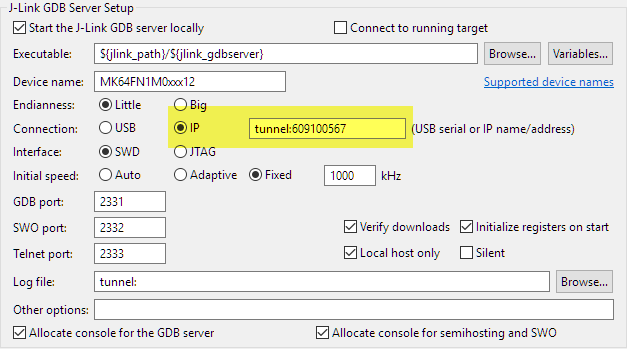 If you're working with remote developers, you might want to be able to tunnel your way to your dev board. 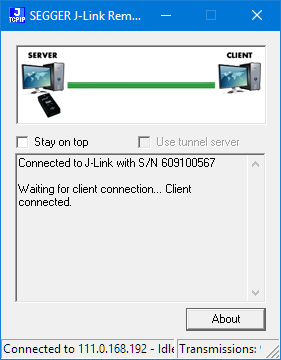 That's possible with J-Link and Eclipse. For a CubeSat project, we only have a single board available. But multiple universities and developers need to have access to that board for developing and debugging the firmware. We cannot easily ship around the board: That takes a lot of time, and during shipment, nobody can use the board. 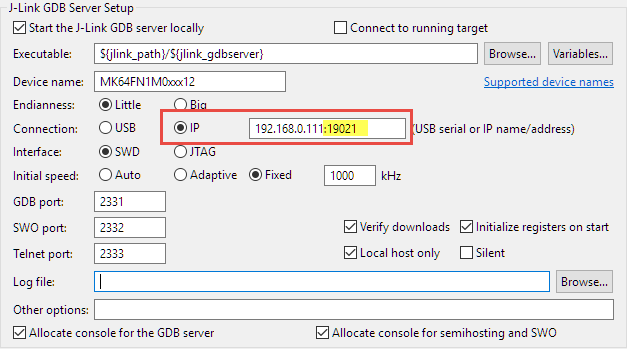 Let's go over how to share a board for debugging with Eclipse, using J-Link and Eclipse with the GNU ARM Eclipse J-Link plugin. Host machine: could be Linux/Windows/Mac (I’m using Windows 10). 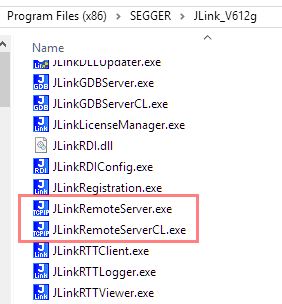 Segger J-Link debug probe (any J-Link probe should work) with SWD/JTAG connection to the board. 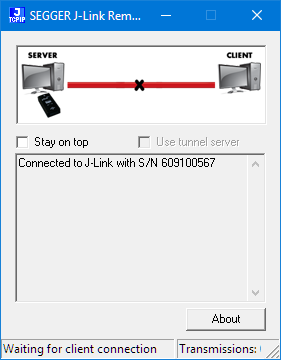 GNU ARM Eclipse J-Link Plugin: v4.1.2.201701141320. Eclipse Kinetis Design Studio: V3.2.0. 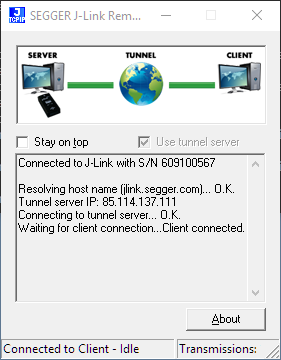 To run the Segger Remote Server, on Windows there are two binaries: a command line version (CL) and a GUI version. So, that way, I can debug that board as I would have a TCP/IP enabled debug probe available :-). 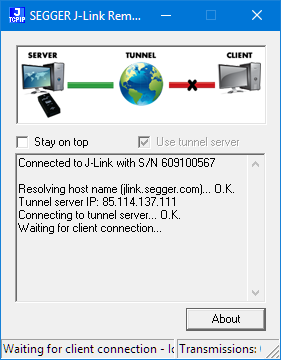 With multiple Segger probes attached to the host, I can select it by the SelectEmuBySN option or in the dialog which offers to select the probe. There is a bug in the current GNU ARM Eclipse plugin preventing typing in a colon (‘:’) for the IP address, which I have reported (https://github.com/gnuarmeclipse/plug-ins/issues/177). The workaround is to copy/paste the address/colon. If entering the ‘:’ does not work, use copy-paste until that issue is fixed in the GNU ARM Eclipse plugin. For me, debugging through the tunnel is considerably slower, but it works well enough. With the GDB Remote Server software, I can have a TCP/IP based debug probe and debug my board remotely with GDB and Eclipse. 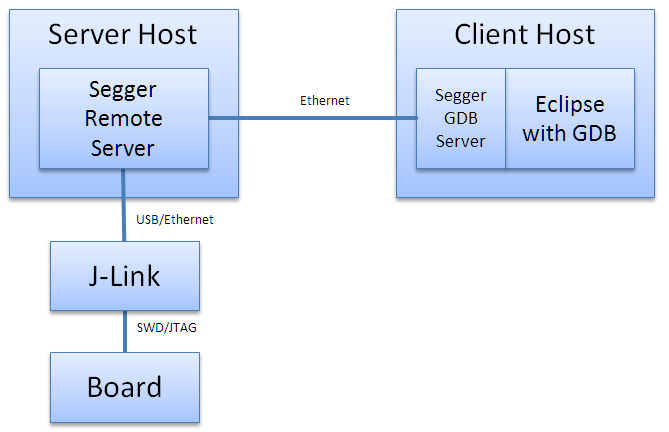 All I need is a Segger debug probe, a host machine, and the Segger Remote Server software running. With the tunnel mode, it even works between networks and allows me to share a board between remote developers. Of course, this is not as good as having the board on the desktop, but better than to physically ship a board around.